SF9이 라이브 투어로 해외에 계신 FANTASY 여러분을 만나러 갑니다! 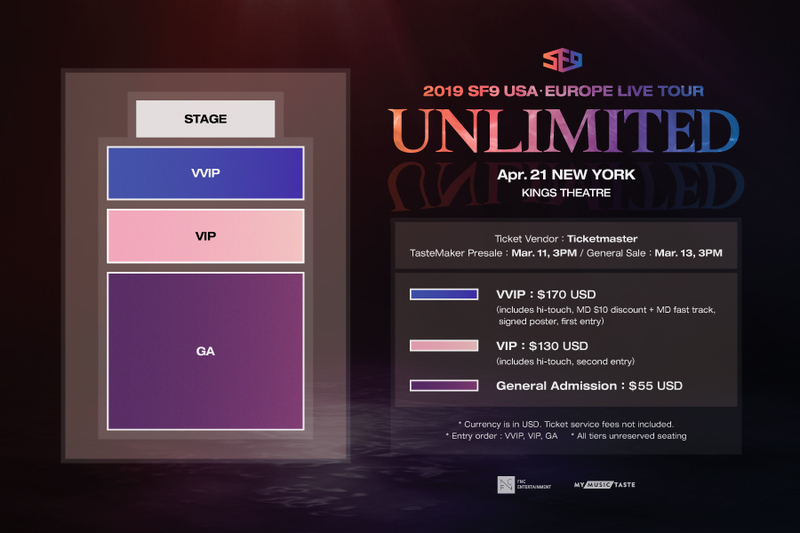 2019 USA·EUROPE LIVE TOUR [UNLIMITED] IN NY 공연 정보를 안내해드립니다. Please show us your love and support.